There are times when coffee and a pastry are more than a light breakfast, and bacon is more than just a tasty treat. The food at Central's summer brunches is always delicious – "Julie & Co." does an amazing job preparing the menu each week, but the purpose behind the brunches is much sweeter than even the aromas emanating from the kitchen. Food has always been an easy and convenient ice-breaker. Whether it's getting to know someone, having a business meeting, or catching up with long-lost friends, sharing a meal is a great way to get to know people. There are two ways the summer brunches can help with this. Central is blessed to have a large and vibrant community. But, even in a church the size of Central, it can be easy to fall into schedules and habits which leave us feeling isolated. Summer brunches give us a chance to enjoy a new routine. Reconnect with old friends or meet new ones over a great meal. Sunday mornings can be hectic for many families, and the brunches also give families a chance to slow down a little and enjoy a meal together. 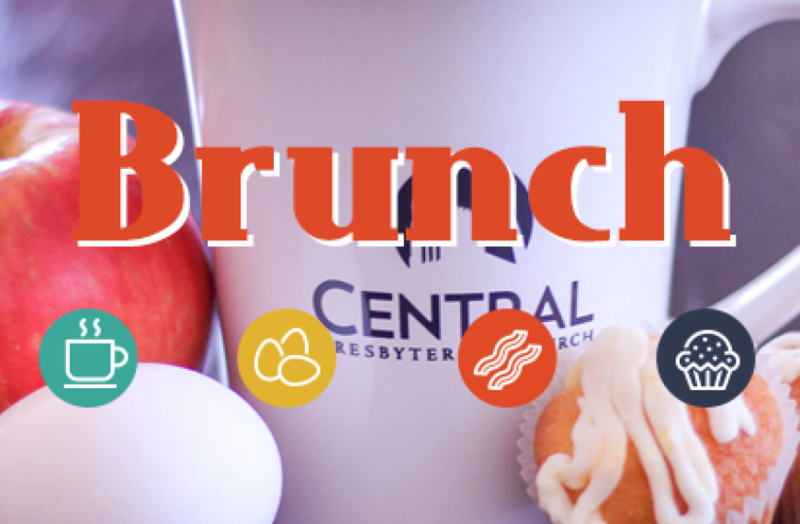 Summer brunches are also an easy way to invite friends and family to Central. We all have people in our lives who don't attend any church. Maybe you've invited them before or perhaps you've felt uncomfortable doing so. It can often be scary or awkward inviting someone if you are unsure of how they'll respond. It's hard to say "no" to bacon and French toast, though. We encourage you to prayerfully think of someone God has placed in your life that you could invite to Central this month. Summer brunches are from 9:30 until 11am Sunday mornings, beginning this week and continuing throughout the month of July. There is no cost for the meals, although donations are welcome. But how can we keep this up for the long haul? The inspiration and conviction resulting from a single sermon will fade amid the pressures of daily life that always threaten to squeeze our prayers into their mold. If we rely only on the concerns and desires of our own hearts to guide our prayer, we will soon find ourselves back in the rut of praying the same old things about the same old things. Praying from the Bible is the primary solution to a prayer life that is too small. God not only tells us to pray, but he has also filled his word with prayers to guide us in praying with big, God-centered words and ideas that we would never think to pray ourselves. In the Psalms (a whole prayer book!) and other prayers from people such as Moses (Exod. 15), Hannah (1 Sam. 2), Zechariah and Mary (Luke 1), the early Christians (Acts 4), and our Lord Jesus himself (Matt. 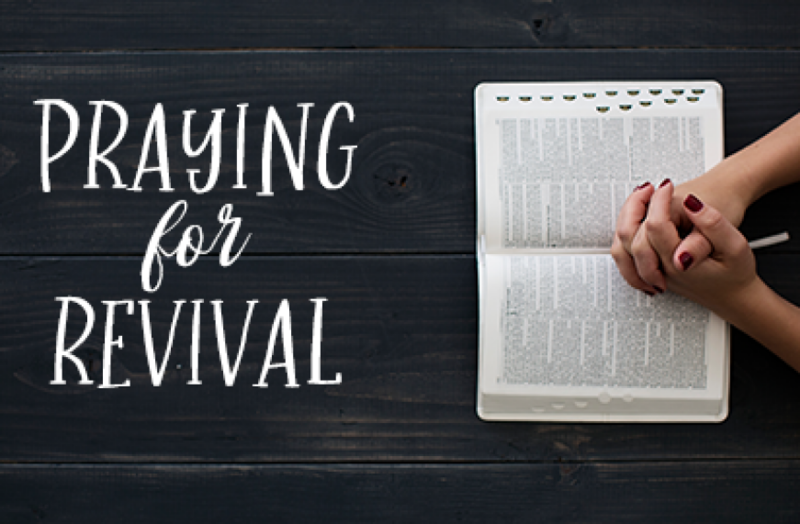 6:9-13; John 17), we can learn kingdom-focused prayer that constantly stretches our minds and hearts to the full breadth and depth of God and his mission in the world. When we use Scripture as a means to speak to God, the Bible becomes not only a means of knowing about God but also a living means of knowing God and communion with God himself. Thus, the Bible becomes kindling for our prayers, for it gives us powerful, inspired words and images that the Holy Spirit uses to fan the flame of our longing for God himself and to illumine our imagination with a vision and hope for his goodness and glory to make all things new. How can you learn to pray in this way? Central’s daily prayer guide (http://www.centralpres.com/prayer-guides) provides a simple tool to expand our prayers and align them with the worship of the church. The guide contains Psalms, songs, and other scripture readings and biblically-based prayers that relate to the theme of the Sunday sermon each week and amplify the effect of corporate worship on Sunday as it echoes throughout our daily meditation and prayer. (When you sign up, you will receive the prayer guide in an email on Sunday mornings with all the materials for the coming week as well as a short introductory email that furnishes a brief user’s manual with instructions and resources for using the guide most productively.) By praying from the Bible and the prayers of the church, we will never run out of things to say and our prayers will always be directed by the Holy Spirit toward the highest goal of communion with the Lord himself and the fulfillment of his transforming mission to the world. Come, Holy Spirit, and lead us to pray for the kingdom of God! We often hear stories of generosity and compassion around Christmas. Wonderful, encouraging tales of people reaching out and loving others through generous deeds and gifts. Though they surely happen, similar stories at Easter seem far less frequent. The focus of these holidays should certainly not be on the gifts that may be associated with them, but especially for a child, it can be hard to think about tearing into gift wrap at Christmas, or enjoying some chocolate or jelly beans at Easter. Inspired by his concern to help others, James Karslake, a 10 year-old member of our Central church family, wanted to share the love of Jesus this Easter season. He came up with the idea that a great way to do this would be to make sure kids living in difficult circumstances would receive an Easter basket this year, just like he knew he would. James even had a very specific idea of what needed to be in these Easter baskets...some goodies, a chocolate bunny and a toy, plus some Good News, a Bible verse. James' enthusiasm was catching, and soon our church body was mobilized! God was so evident in the way our church family came together. Central's missions committee contributed some financial resources, and additional funds were collected from the adult Sunday school communities, Wednesday night classes, some of our small groups, and many others. In only three weeks enough money was raised to purchase supplies...a lot of supplies! KidCentral was on-board in a big way too. 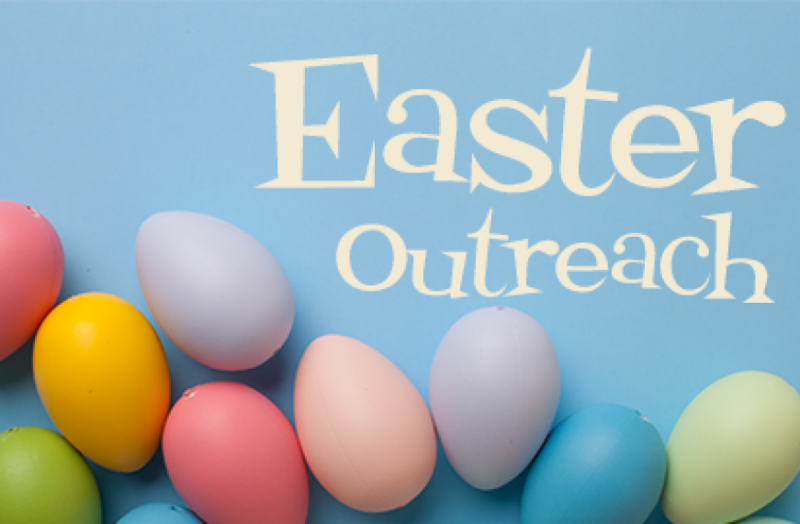 During EquipCentral on April 5, our elementary kids assembled 290 Easter baskets! The Fellowship Hall was turned into a production studio, with baskets, artificial grass, sidewalk chalk, bubbles, and of course not a few chocolate bunnies. The final piece added to each basket was a printout of John 3:16: "God loved the world so much that He gave His only Son. God gave His Son so that whoever believed in Him may not be lost but will have eternal life." These baskets were delivered to Sunshine Ministries later that week and distributed to the children and families for Easter. Thank you, James, for your love for others and this wonderful idea. James delivering the baskets to Sunshine Mission!